Unlike many companies, Smithson Italia did not work on Saturday. After sleeping in late, Joe walked to the Cavalieri Hilton Hotel to deposit his money in the night depository slot of the Bank branch. Nancy went with him, to pick up a new umbrella. Having a large luxury hotel right across the street was very convenient. The shops were expensive, but they were open late and on weekends. The rain had eased to a light drizzle. When they came back out the sun blinded them, reflecting off the puddles and wet cars in the parking lot. As they stepped into the driveway, a red Jaguar XKE came to a sudden halt in front of them. Nancy jumped back, and Joe froze. “Going my way?” said the driver. Joe thought he might be a movie actor. Blond hair, chiseled features, broad shoulders. Joe’s felt the back of his neck tighten. He had seen enough handsome men try to pick up his mother. 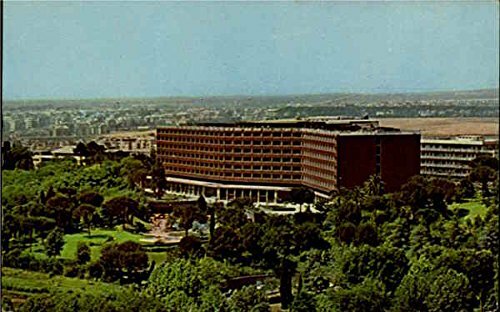 Around the Cavalieri Hilton, they were often rich, too. “You know him?” Joe mumbled to his mother. “Jack Arland, this is my son Joe,” said Nancy. Nancy looked at Joe. Joe shrugged. “Sure,” said Jack. “And the view should be stupendous today.” He closed the door behind Nancy, ran around and jumped in. In no time, they were flying out the Via Aurelia to the Grande Raccordo Anulare , the brand-new ring road that connected about half the roads leading into Rome. That someday it might be a true beltway all the way around was a running joke among political skeptics. Jack handled the car with confidence, but also a certain care. After his initial reaction, Joe found himself warming to the new Vice-president of Smithson Italia. From what Nancy had said, Jack had only arrived from the States in late August but had already made an impression on the Board. “So naïve he makes us think sometimes,” she had said. Jack turned off at the Via Tuscolana, heading southeast away from the City. Like many Roman highways, the Tuscolana was lined with tall Mediterranean pines and ran straight to the base of the Castelli Romani hills before starting its winding climb. “You seemed to have found your way around pretty quickly,” Nancy said. “Not hard when you’re single with a car and nowhere to go.” Jack hazarded a quick look on a relatively straight stretch and flashed a smile. “Where do you play tennis?” Joe asked, shifting the tennis bag at the end of the shelf with his feet. 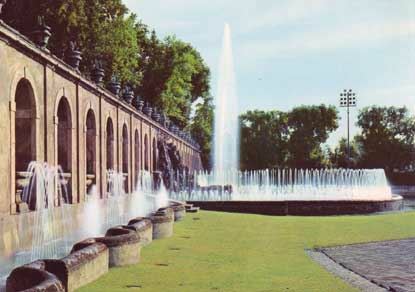 Soon they had climbed the Alban Hills and were walking from the car across the park in front of the Villa Torlonia with the white marble fountains of its Water Theatre carved into the hillside. They ate at a restaurant that overlooked the Pontine Plain. The air was exceptionally clear right after a rain. Rome shimmered in the slight haze from its own heat to their right. 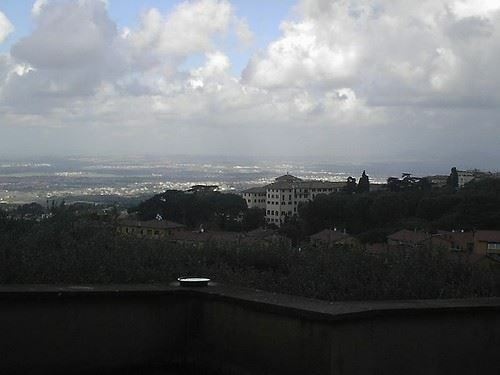 To their left, Joe could see the silver expanse of the Tyrrhenian Sea. The coastline looked like a white stripe across the scene. Without it, he could not tell where the flat, wet farmland ended and the sea began. Joe noticed that Nancy seemed to relax as they talked about sports. Jack quizzed Joe about the Italian campionato, the professional soccer series, and the Giro d’Italia, the premiere bicycle race. Joe grilled him about baseball. “I guess it catches me off-guard to see such a typical-looking American kid not know much about baseball,” Jack said at one point. Joe shrugged. “When are you going to do that?” asked Nancy, laughing. “Let’s take a walk and get a caffé on the way. Joe?” Joe nodded in agreement. Nancy reached into her purse for her cigarettes. Jack reached over and touched her hand, stopping her. “Please,” he said. She put the pack back and set her purse down. Jack paid the bill. They rose and walked back up toward town. On the way, they stopped at a bar for espresso. Nancy ordered a bag of red wine biscuits to take home. Jack agreed and ordered another bag of the hard cookies. 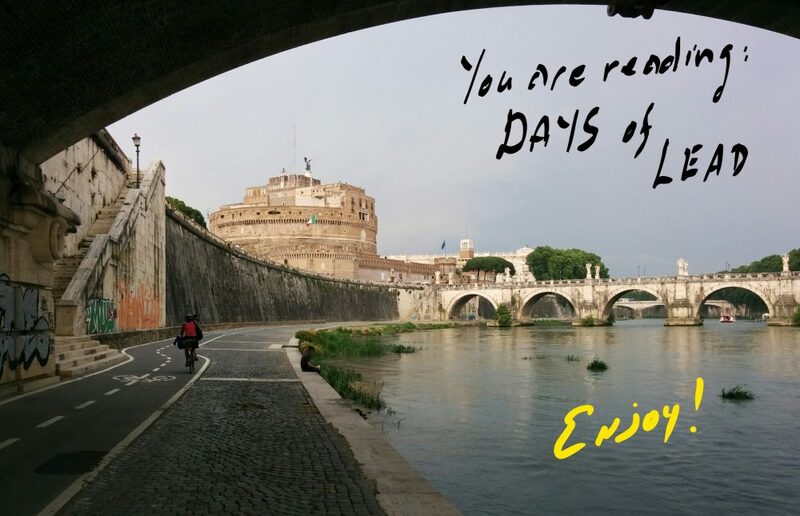 Soon they were speeding back to the Eternal City. Jack left them outside their apartment. He declined an invitation to come in, saying he had to meet some friends downtown. The Beatles had started singing Twist and Shout on the jukebox when Joe arrived at the Alfa Romeo dealership bar. A deep voice surprised him from behind. Joe thought for a minute. “I’ll be there.” And he was gone. Joe shrugged and took his cappuccino to the juke box. “Who was that?” asked Matt. “Wants a date with your mom, I’d say,” said Doug. They laughed while Joe felt the heat burning his ears and cheeks. He glared at Doug and clenched his fists. “Easy, Joe,” said Matt. “You got a good-looking mom, and you know it. And it’s just a joke.” Joe took a deep breath and relaxed. Aldo nodded at the wall clock. That afternoon, Jack Arland was sitting in an armchair in the lobby of the hotel when Joe walked in at exactly four o’clock. He rose when Joe approached, and they shook hands. Jack wore a tailored blue suit that hung on him like a cover of Gentlemen’s Quarterly. Joe normally did not care what his clothes looked like, but now he was conscious of the sweat stains and wrinkles of his own tan suit, and the mud drying on the outside of his left pant leg. “Thanks for coming, Joe, here’s what I need.” He picked up a fat file with letters, brochures, and some long documents stapled together. Joe backed up. Joe regained his composure and took the file from Jack. Jack stood, motioned to a sofa, and they sat down. Jack opened the file on the coffee table in front of them. Jack signaled to a waiter and pointed at Joe. Joe shook his head and tapped his wrist watch. He didn’t have time for a drink. The waiter nodded and turned to a table close by. Jack put his hand on Joe’s shoulder. Joe put the letters in his rucksack. They stood and shook hands. Joe went to his bike parked outside. As he swung into the saddle, he saw Jack walking briskly towards his XKE in the parking lot. The letters were easy, and he did not have any work from Nancy that night. He called Jack the next day from a pay phone at school. They met at a coffee bar that Joe passed every day on the way home. Jack gave him two thousand lire and some more letters from the file folder. That file folder had enough work in it to put Joe over the top for a new Vespa by the middle of December. But Nancy had not brought home anything for him since Jack’s work started, so he could not ask her about it.